The fight against tuberculosis (TB) remains an important priority worldwide, and the 8th regional TB symposium to be held on 28 February and 1 March in Tashkent will focus on the recent developments in treatment and diagnosis of the disease. Jointly organised by the Ministry of Health of Uzbekistan and the international medical humanitarian organization, Médecins Sans Frontières (MSF), the symposium brings together around 180 participants. The scientific and practical conference this year entitled ‘New Frontiers: Innovation and Access’ will focus on the potential of innovation that allows for more patient-centred care by improving not only treatment outcomes, but also patients’ wellbeing during treatment. Reflecting on how innovations might impact TB programmes in the region will be a core part of the symposium, alongside how those most in need can access effective and quality care. “World Health Organization (WHO) declared that Uzbekistan had taken a leading second place among the 53 countries of the WHO European Region in terms of successful implementation of national TB program. It shows the country has already gained rich experience in implementing new treatment regimens within the national TB program as well as patient-oriented approaches in TB care,” says professor Nargiza Parpieva, Director of Republican Specialized Scientific and Practical Medical Center of Tuberculosis and Pulmonology, Uzbekistan. According to WHO, tuberculosis caused an estimated 1.6 million deaths and 10.0 million people developed TB disease worldwide in 2017. One million children fell ill with tuberculosis, and 230 000 children (including children with HIV associated TB) died from the disease in 2017. Strains of the disease resistant to the main TB drugs pose an even deadlier threat: only half of patients with multi-drug resistant TB are successfully treated. Urgent action is required to improve the coverage and quality of diagnosis, treatment and care for people with drug-resistant TB. Recently released pre-final new WHO treatment guidelines for drug-resistant tuberculosis which embrace the use of new drugs with fewer side effects, such as bedaquiline, are an important step towards more tolerable treatment for all patients. “The new WHO guidelines should serve as a great opportunity for patients and TB programmes in the whole region, these changes will help to achieve a more patient-centred approach to care. TB programmes should build on evidence in progressive ways to allow for greater implementation. We must help patients and healthcare workers understand the nature of innovations and reduce fear associated with it”, concludes Sydney Wong, MSF Medical Director. In Uzbekistan, MSF is working in Tashkent and in the republic of Karakalpakstan, north-west of the country. In Tashkent, MSF in collaboration with Ministry of Health organized one-stop shop for patients with HIV, tuberculosis, hepatitis C, and is also providing support with effective diagnostics and treatment for patients with co-infection. Additionally MSF supports the clinical research study “TB Practecal. The aim of the study is to identify treatment regimens which are less toxic, more effective and much shorter than conventional treatment regimen for drug-resistant tuberculosis. 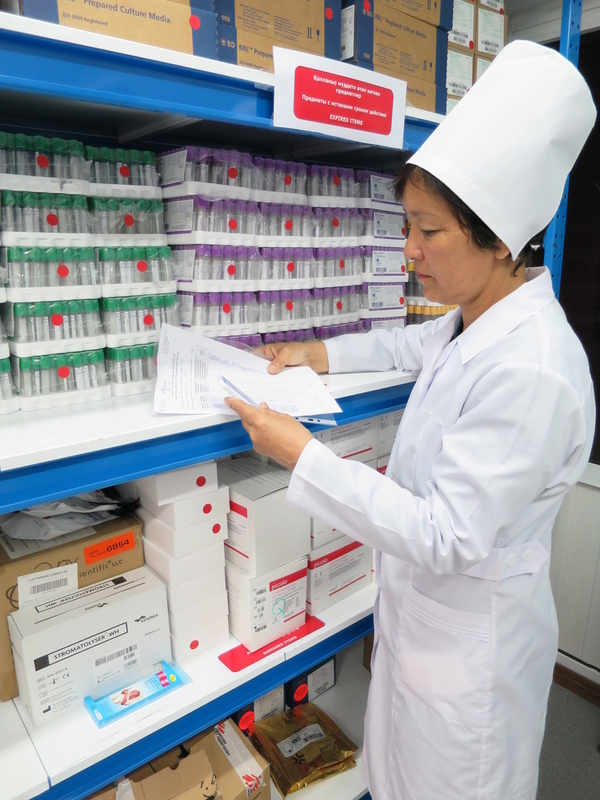 In Karakalpakstan, in the framework of the TB programme, MSF and the Ministry of Health jointly implement a comprehensive TB care programme, as well as participate in the clinical research “TB Practecal”. MSF has been working in Uzbekistan since 1997.